Lake Como, Cernobbio, modern villa with large terraces not far from the city center, with a splendid view of Lake Como. Basement: large garage, technical room, tavern, laundry, cellar. Ground floor: independent apartment with living room, kitchen, 4 bedrooms, 3 bathrooms, terrace and private outdoor area. First floor: independent apartment on 2 levels, with 2 living rooms, kitchen, 8 bedrooms, 4 bathrooms, 2 large terraces, magnificent spiral staircase. In the garden there is a further apartment consisting of: living room, kitchenette and bathroom, ideal for a caretaker. Large garden (900 sqm) flat where it is possible to build a swimming pool. Lake Como, Tremezzina, Lenno. Nice apartment in residence with wonderful lake view. 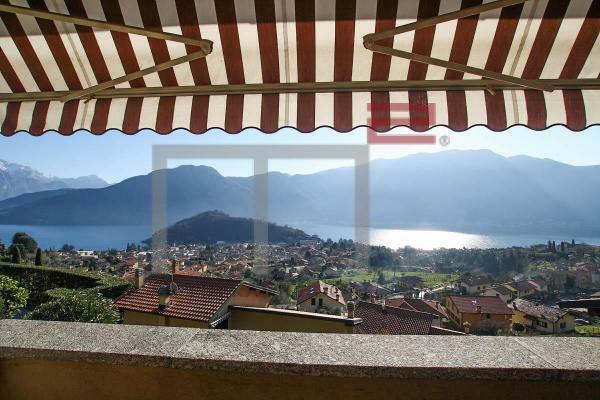 Carlazzo, new house with a splendid view of Piano Lake and Lugano Lake. Basement: double garage, possibility of third garage, technical room, laundry, storage. First floor: large kitchen, living room and sitting room, bathroom, access to a pleasant private garden. First floor: 2 bedrooms, 2 bathrooms, 3 balconies. Underfloor heating, very good quality. Como, Tavernola, apartment to renovate with great potential, not far from the Swiss border, close to the lake and to all the main services. Entrance, living room with access to large covered balcony, kitchen, 2 large bedrooms, bathroom. Single garage, cellar, additional parking spaces of the condominium. Autonomous gas heating. Low condominium expenses. Tremezzina, one bedroom apartment in an ancient villa with pool and lake view! Whilst maintaining its original charm fully renovated in 2002 villa with only 5 apartments offers an exclusive location between Grand hotel Tremezzo 5 star hotel and famous Villa Carlotta. This bright apartment is located on the second floor and consists of a private balcony, living room, and kitchenette, bathroom, and bedroom. Fully furnished, no need for you to make any additional investment. Ideal for relaxing on the lake and renting out to tourists. • A share in the storage room on the ground floor, comfortable to keep bicycles and other useful stuff. • Near the beach, the lakeside promenade, the Walking Trail "Greenway"